Sleeping hot is a daily frustration for many sleepers. When your bed is baking, a restful snooze becomes a distant dream. Quite evidently, this lack of sleep quality has a detrimental effect on your health and wellness. Some persons feel so freakishly hot once they hit the bed, no amount of air conditioning can bring the mercury down for them. Fortunately, there’s a stockpile of cooling mattresses in the market; tried, tested, and approved by hot sleepers like you. However, it’s worth remembering that the bedding you use, the mattress protector, topper, and pillows, all help to achieve the best temperature for sleep. Sleeping hot has been one of the biggest pet peeves for majority sleepers. As much as 79% of sleepers consider cool temperature an important element for good night’s rest. A quick glance at consumer review sites is an undeniable testament to these findings. With the shift of focus from innerspring to foam, temperature regulation became a real challenge for mattress makers. In turn, the industry witnessed all kinds of innovations in designs and construction to keep beds cool. Today, the mattress market is full to the brim with cooling mattresses for hot sleepers. The general idea is to increase heat distribution by improving the airflow of the mattress. Foamers use both conduction and convection to decrease the heat retention under the covers. Technological advancement has introduced unique materials for this purpose. For instance, Purple uses a cooling grid while Layla and Beautyrest use metals to improve heat conduction. Apart from cooling, body temperature regulation is also a significant focus of improvements in mattresses. Being warm-blooded, we require a comfortable mercury level that’s neither too hot nor too cold to enjoy a peaceful slumber. Mattress makers have introduced various smart components to help us achieve an ideal sleep environment. Let’s discuss some of the prominent temperature regulating techniques. We hope that this guide will help you make a knowledgeable decision for you and/or your hot sleeping partner. Polyurethane and latex mattresses have open-celled foams, having an abundance of empty spaces. These empty spaces improve the airflow through the bed. Air is an insulator, so it resists heat retention, thus, preventing the rise in mattress temperature. Furthermore, free air passage allows the warm air to drift out of the mattress. Fresh air from the surroundings replaces the warm air and thus, helps you enjoy a refreshing slumber. Memory foam, on the other hand, is a closed cell foam. Hence, hot sleeping complaints have a direct link to the popularity of this visco-elastic foam in the mattress making. However, foamers are now making open-celled memory foam mattresses. Many popular brands like Amerisleep and Tomorrow Sleep use open-celled memory foams. This design element not only improves heat transfer but also enhances the pressure-relief and durability of these mattresses. Nectar uses semi-open memory foam with gel infusion for cooling and comfort. Mattress makers create cuts or contours on the foam surfaces to improve the airflow of the bed. Such a design forms air channels within the foam layers to improve heat distribution and cooling. Addition of convolutions is quite popular among foamers, used by almost all the mattress brands today. Contour cutting not only enhances cooling but also alters the feel of the mattress. Brands like Casper use convolutions to create zones of additional support throughout the mattress surface. Luxisleep creates peg-like foam surface as a substitute for pocket springs. Air channels around the pegs act as vents for the mattress. Egg Crate surfaces are the most popular, used by well-known brands such as Leesa, Layla, and Loom & Leaf. Morphiis has keyhole-like cuts on the under surface of the base foam. These cuts increase surface area for heat distribution, provide free space for airflow, and help the Morphiis fit the changing contours of an adjustable base. Latex foam has pinholes, naturally formed during its making. 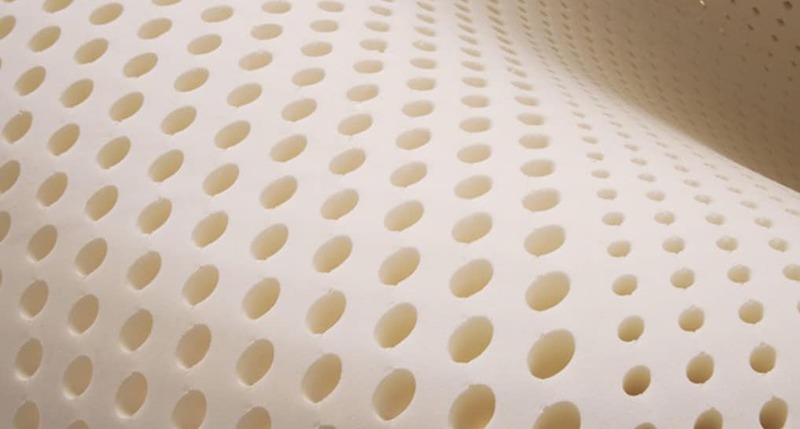 Due to the presence of these perforations and its open-cell structure, latex mattresses sleep cooler than other foams. Moreover, Latex manufacturers use lateral and vertical holes to improve the sleep temperature regulation of their products further. Cooling ability of this design is popular among many brands. 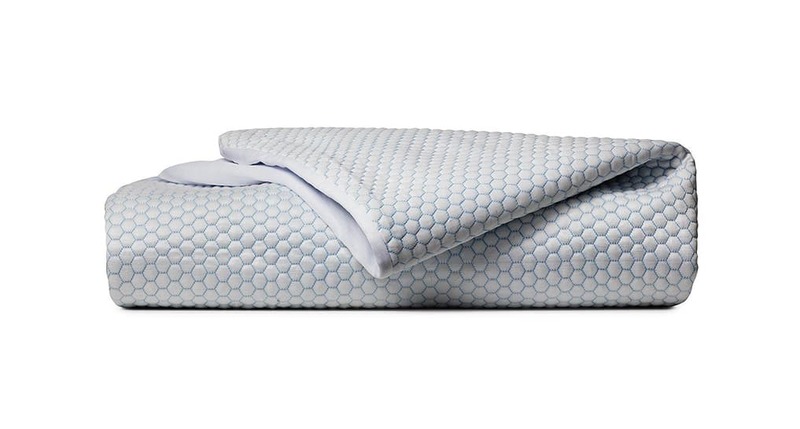 Leesa Sleep’s Avena foam uses vertical perforations like latex to improve heat distribution. 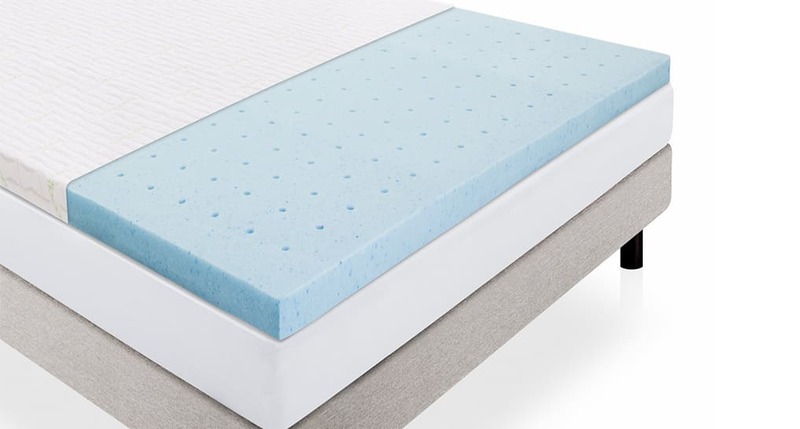 Likewise, memory foam beds like Lucid or Novosbed also use pinholes to enhance breathability. Some brands like Zenhaven and Casper use different sizes and/or the number of perforations to provide zoned pressure-relief. Another exciting product is the perforated airfiber core of Airweave mattress. This Japanese mattress brand has brought forward an innovative product. The recyclable plastic mesh forming the core of Airweave has exceptional airflow. Consumers report it to be one of the coldest mattresses in the market. Traditional innerspring makes 90% share of the mattress sales, in part owing to its superior heat distribution. Even the hybrid mattresses with pocketed coils have an ample amount of free space for adequate airflow. Mattress makers have taken further measures to enhance the wrapped coils’ cooling ability. 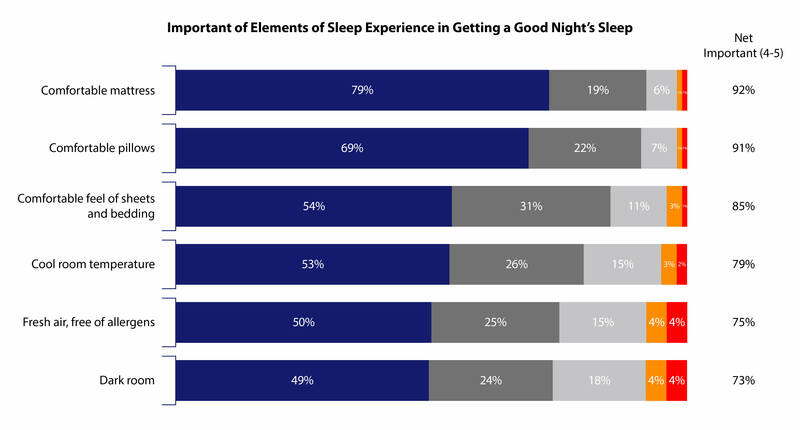 2013 BedTimes trend report states superior heat distribution to be one of the main reasons for innerspring popularity. Not only have the wrapped coils improved pressure-relief and conforming ability of mattresses, they still keep your bed cool. The breathable non-woven fabric is used to wrap these coils. Most manufacturers today punch holes or add slits to ensure free air passages for enhanced ventilation. Some companies insert a layer of microcoils within foam layers to increase breathability. That’s why DreamCloud sleeps cool despite having multiple foam layers. Most innerspring mattresses today, like Beautyrest, Saatva or Winkbed, also use a layer of microcoils for enhanced cooling and pressure-relief. The gel is one of the most popular cooling material used in mattresses today. 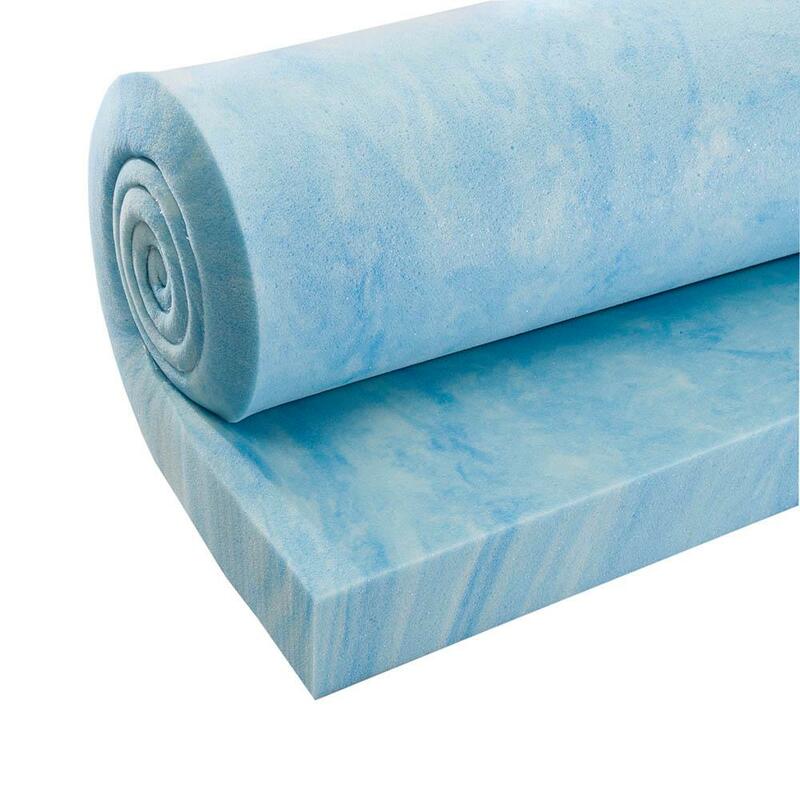 Almost every mattress maker uses gel foam, preferably as the topmost layer. Being higher in density than regular foam, gel provides enhanced pressure-relief too. Gel provides you with an instant sensation of coolness as you lie on it. Heat retention is slow, keeping you cooler in bed for a longer duration compared to regular foam. Brands like Saatva and Loom & Leaf use strategically placed gel pads for cooling and pressure-relief. However, most companies infuse foams with gel beads or swivels. Use of gel memory foam is a staple among most memory foam mattresses. 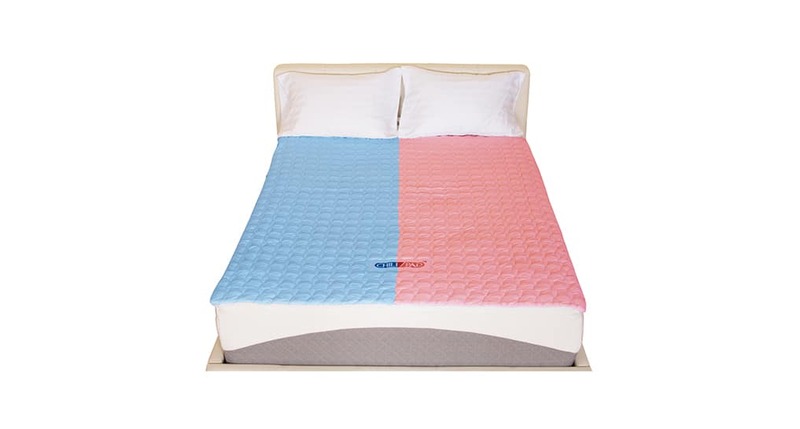 Nectar, Muse, Bear, Ghostbed, Winkbed, Nest Bedding, all use gel memory foam for cooling. Gel foams are often perforated or convoluted for effective heat distribution. If not properly ventilated, gel eventually heats up and is no longer effective. Phase Change Material (PCM) popped into the mattress industry only a few years ago. It’s based on the age-old thermodynamics concept of “latent energy,” the minimal energy required by a material to change its phase, in this case, from solid to liquid and vice versa. With the cooling/warming effects of PCMs, mattress manufacturers are a step closer to creating the perfect sleep experience for their customers. So how do phase-change material cool your mattress? Well, the PCM infused in your bed draws heat away from your body and stores it. Eventually, it melts within its capsule. As the mercury level drops, the same PCM releases energy and solidifies. Thus, it acts as a thermostat within your bed, maintaining an ideal sleep environment. Research verifies the excellent heat dissipating ability of phase change materials. Talalay Global offers Celsion, their PCM latex foam. Ameena mattress and PuraSense Xcel feature thermaphase gel memory foam, claiming superior cooling. Popular brands like Brooklyn Bedding, Nest Bedding, Tomorrow Sleep and many more use PCM in their covers. Outlast fabric technology, based on PCM is widely used in sleep products today. Lower core body temperature initiates sleep naturally and leads to deeper sleep. 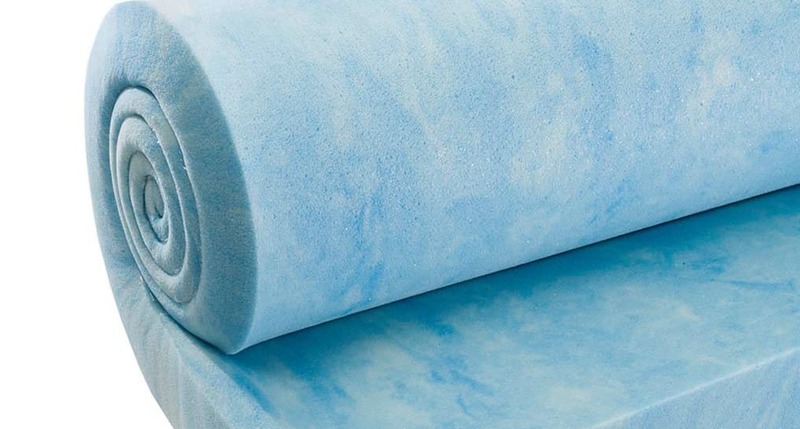 That’s why mattress experts have been infusing foams with various minerals to enhance their cooling ability. Metals have superior conduction, but copper and silver are the coolest. Beautyrest Silver and Platinum series uses silver for its cooling ability and natural resistance against microbes. Pangeabed and Layla, both use Copper in their mattresses. Copper is naturally cool and keeps the mattress bacteria-free. The inclusion of these metals promotes your family’s health while offering a refreshing rest. Brooklyn Bedding uses Titanium to maintain an ideal sleep environment. It’s proprietary Titan Flex foam is now used in Nest Bedding products as well. 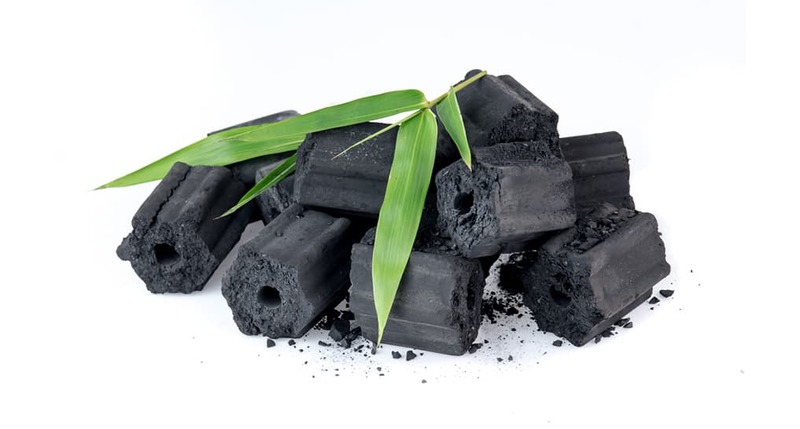 Activated charcoal has become quite popular for its health promoting abilities. You can experience its cooling in Brentwood Crystal Cove and Zinus Green Tea Memory foam mattress. No matter what’s inside your mattress, your mattress cover needs to be breathable enough to allow warm air to escape. Therefore, mattress manufacturers use various fabrics to provide you with an ideal sleep temperature. Unique ventilation grids are weaved into the covers and aligned with perforations in the underlying foam. This simple yet ingenious technique ensures that your core body temperature remains optimal. Natural fibers are best for moisture wicking, thermal regulation, and resisting allergens. Spindle, Zenhaven, Happsy, Saatva, all use organic cotton with wool batting. Dreamcloud has a luxurious Cashmere cover for a superior feel whereas Nectar features the cooling Tencel cover. Brentwood and Lucid use bamboo for enhancing the breathability of their mattresses. Mattress makers mostly use synthetic fabrics such as Polyester, Lycra, and innovative threads like Celliant or Outlast. Both Polyester and Lycra allow maximum heat distribution so you may enjoy a refreshing night. Brands like Bear and Amerisleep use Celliant for superior cooling and clinically proven health benefits. Now that you know about all the prominent cooling techniques available in the mattress market, you can certainly take an informed decision and buy the best cooling mattress for your unique sleep needs. However, if you’re one of those sleepers who’s wondering: But, I already have a mattress with these cooling features... … And, I still sleep HOT! What do I do to make my mattress cool? Read on to get your ZZZ’s back…! 5 Helpful Tips to Make Your Hot Mattress, Super Cool! Well, the fact of the matter is, each temperature regulating technique has its limitations. Whether you choose gel infused foam, perforated mattress, or look for PCM, you may still wake up hot and sweaty in the middle of the night. There is an abundance of mattresses available for hot sleepers. Customers who know how to buy a mattress, are able to find their dream bed that keeps them cool no matter what. However, if you sleep exceptionally hot, fret not! There are tons of cooling products to provide you a chilled snooze, just the way you like it. Most hot sleepers swear by the effectiveness of cooling mattress toppers. Groggy mornings can ruin your whole day. If your bed’s too hot for you, you begin to witness the effects of restless nights all too soon. Investing in a quality cooling mattress toppers can help you achieve a lower core body temperature as you drift off to dreamland. A top-rated mattress topper won't require a fortune though! Like mattresses, you can choose the material of your choice. Gel memory foam and latex toppers are the best for cooling. Natural materials are also a rage nowadays due to their excellent moisture wicking property. You can choose topper firmness and thickness, primarily depending on your comfort preferences and weight. If your partner doesn’t sleep as hot as you, you can buy a twin topper for your side only. It’s a win-win for both with no disagreements under the sheets. Not to mention, the reduced electricity bills as you enjoy your slumber with limited air conditioner use. Adding a cooling mattress topper alters the comfort level of your mattress notably. Hence, if you’re worried about trading comfort for cooling, mattress pads save the day, or rather ‘night,’ for you. There isn’t much difference between mattress topper and mattress pads. 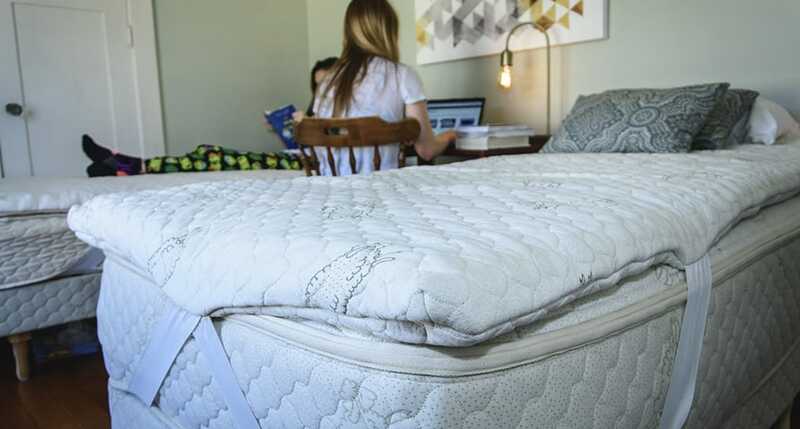 Mattress pads are mostly thinner than mattress toppers. Their purpose is to cool your bed without altering the firmness or feel of your bed. Most cooling mattress pads act as effective mattress protectors as well. They don’t shift as you move in bed. Moreover, some come imbibed with smart technologies. If you and your partner disagree, smart mattress pads allow each of you to set ideal sleep temperature on your side of the bed. A mattress is a huge investment in your health. If you spent more than a $1000 on your bed, you’re right to expect a wholesome rest on it for at least a decade. Mattress protectors ensure that you get the most value out of your money. The primary purpose of any mattress protector is to save your mattress from sweat, dust, and spills, that can degrade the materials in your bed over time. However, you can kill two birds with one store by getting a cooling mattress protector. It saves you money, and you can enjoy a refreshing snooze without altering the feel and comfort of your bed. Some of the best mattress protectors aren’t cheap, but they’re worth every penny! If your cooling mattress traps heat, your bed sheets might be to blame. Your mattress needs to ventilate heat in order to keep you fresh. But, if your sheets are not breathable, the warm air stays trapped in the bed, and mercury level starts rising. Don’t fall for ‘the higher the thread count, the better the bed sheets,’ if you don’t want a sauna in your bed. The higher thread calls for tighter knit, compromising the airflow of your mattress. The moisture-wicking ability of your sheets decreases, making you hot and sweaty. Cooling sheets stay crisp and dry so you can catch some refreshing Zzzs. Consider cooling sheets with 200-400 thread count and prefer natural, breathable materials like cotton, linen, bamboo, Tencel, etc. Some newer synthetic materials have also gained popularity due to their superior cooling ability. Mattress makers have come up with innovative ideas to help you enjoy a refreshing slumber. These personalized solutions bring harmony for couples with disagreement on what’s the best temperature for sleep. For instance, Winkbeds enables you to achieve the perfect sleep temperature on each side through its coolControl mattress base. It’s a conduction system that blows warm or cold air into the mattress from below. Numerous bed fans silently blow a cool breeze over your bed or under your sheets to achieve ideal sleep temperature range of 60-67 oF. Enjoying a refreshing sleep is but a wink away with the abundance of cooling solutions available in the market. However, keeping a healthy room temperature at night comes first. None of the mattress cooling techniques is a substitute for your air conditioner or heater. Secondly, the clothing you wear to bed may also contribute to high body temperature at night. Sleeping in birthday suit isn’t for everyone, and in fact, it’s not the best thing to wear to sleep either. Breathable, soft jammies keep you dry and ventilated at night. Whether you sleep warm naturally or as a side effect of some medical conditions, a heat retaining mattress is the last thing you need. 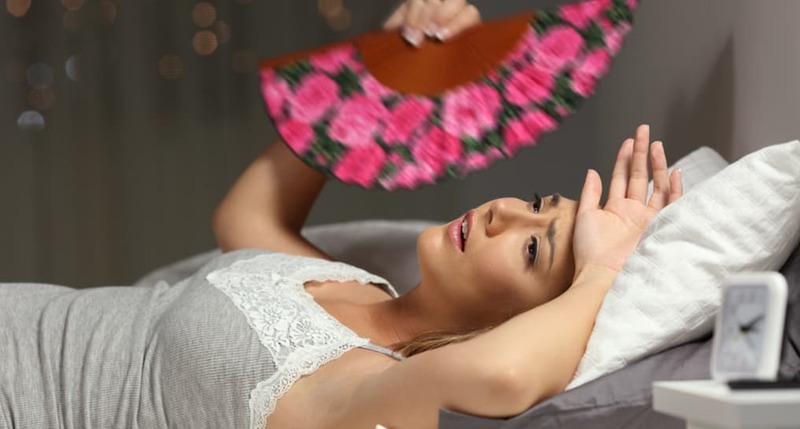 The cooling tips we’ve discussed above help you enjoy a dreamy snooze regardless of the reason why you feel hot in bed. But, what works for one, may not do so for the others. Therefore, I encourage you to explore these options until you find the quality sleep you deserve. Take a shower before your nap, stay hydrated, and enjoy a happy, fulfilling life!